Asir State is one of the administrative governorates in western south of Kingdom of Saudi Arabia, having Abha City as its place of principality. Asir State is located in the western south of the Kingdom, with an area of 81.000 square kilometers and estimated population of 1.913.394 people. 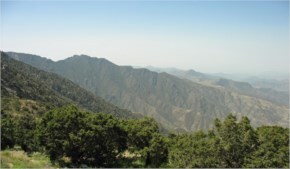 Asir State is well-known for the plenty of mountains in it and it is called “Asir” due to the harshness of landscape. Nowadays, Asir State is ruled by His Royal Highness Prince Faisal Bin Khalid Bin Abdulaziz, the Governor of Asir State. ِAbha City: it is the City of haze, the Bride of the South and the administrative center of Asir region. It is the kingdom of mountains and home of fantasy, she boasts of her appealing temperate summers. 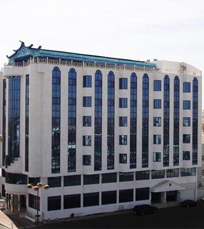 Abha includes a large number of monuments and palaces, such as the Shada Palace of Rejal Alma, the old souks like the Tuesday market, where you can acquire antiques and precious memorabilia. There are many modern commercial centers scattered throughout the city. Abha visitors will return to their homes, bringing with them the most beautiful memories of the coolest trip of fantasy. Khamis Mushait: Khamis Mushait is a city located in the heart of Asir region in the Northeast of Abha. It is situated in the beginning of the eastern plains of the Sarawat mountains at the confluence of the Wadi Bisha at an altitude of 1850 m above the sea between longitudes 42-43 and latitudes 18-18 and 1000 kilometers southwest of the Saudi capital of Riyadh. It is the largest city in the southern area in terms of population and commercial center, on the level of Saudi Arabia. It is also an important commercial and tourist city in the Asir region, with its mild summers, frequent rain, and proximity to parks. Nature Reserves: Asir is rich in wildlife and is home to many animals like deer, lynx and Nubian Ibex, in addition to varieties of birds that can be seen in the Aseer National Reserve in Al-Sowdah Mountain, the tallest peak in the Kingdom. The reserve has easy access through several directions, notably through Shafa amusement park, where, a Visitor Center, a Museum with several halls, plus balconies with superb views are located. Badia Bani Amr: It is located to the east of Halbaa, coming under Namas municipality. The area is rich in ancient rock carvings, some dating back to pre-Islamic periods, as well as drawings of many different animals and hunting and battle scenes on the rocks, in addition to Islamic literature in early Kufic. The pattern is found spanning three historical periods, 125-127-155 Hijra. Al Raqidi Museum: it is a museum located in Abha Province and categorised among the popular museums. Al Aamriya Museum: it is located in Ahad Rofaida Province and his owner quest is to gather antique pieces and equipments for 20 years ago. Al Ghailani Museum: it is a museum located in Al Majarida and includes old weapons and jewels as well as precious books and manuscripts. Al Shifaa Museum: it is a popular museum located in Sabt Al Alaya and contains old and traditional weapons such swords and other stuff. In additions, there are Maydan Al Torath Museum, Antique Tanuma Museum, and Sabt Al Alaya Museum. Khamis Mushait Province consists of 5 centers include: Tandha Center, Wadi Bin Hashbal Center, Ya’ra Center, Khaibar Al Janoub Center, and Al Madda Center. Ahad Rofaida Province consists of 5 centers include: Al Wadieen Center, Tarib Center, Al Amwah Center, Abraq Al Arin Center, and Al Farain Center. Tathleeth Province consists of 8 centers include: Al Ain Center, Al Subaikha Center, Al Amwah Center, Abraq Al Naam Center, Al Aqeera Center, Habyya Center, Al Hamda Center, and Al Zaraq Center. Bariq Province consists of 4 centers include: Tholouth Al Mandhar Center, Jumaat Rabeea Center, Sayyala and Al Salim Center, and Al Murabba Center. Blqarn Province consists of 9 centers include: Al Shifaa Center, Al Bashaer Center, Wadi Shara Center, Afraa’ Center, Khatham Center, Bashout Center, Al Salama Center, Shaaf Blqarn Center, and Talala Center. Beesha Province consists of 10 centers include: Al Hazemi Center, Al Naqi’ Center, Al Daho Center, Samkh Center, Al Thaniya Center, Al Qawbaa’ Center, Tabala Center, Al Ja’ba Center, WaRijal Alma’ Provincedi Taraj Center, and Al Janina Center. Rijal Alma’ Province:Rijal Alma’ Province consists of 3 centers include: Haswa Center, Al Jubail Center, and Al Harida. Surat Obaida Province: Surat Obaida consists of 11 centers include: Imarat Al Jowa Center, Imarat Al Farsha Center, Imarat Al Erqain Center, Imarat Al Jowa Al Mamar Center, Imarat Wadi Al Hayya Center, Imarat Wadi Saryan Center, Imarat Wadi Radoom Center, Imarat Khasham Anqar Center, Imarat Al Asran Center, Imarat Sabt Bain Beshr, and Imarat Ain Al Lawi Center. Southern Dhahran Province consists of 6 centers include: Al Harja Center, Al Faid Center, Alab Center, Al Hamra Center, Mallah Center, and Rashad Center. Al Majarida Province consists of 4 centers include: Abs Center, Khaat Center, Khatba Center, and Jarban Center. Muhayil Asir Province consists of 7 centers include: Khamis Al Bahr Center, Qana Center, Al Reesh Center, Saeeda Al Sawalha Center, Tehama Bllasmar and Bllahmar Center, Humaid Al Alaya, and Khalal Center..
Al Nimas Province consists of 3 centers include: Bani Amr Center, Wadi Zaid Center, and Al Sarh Center.